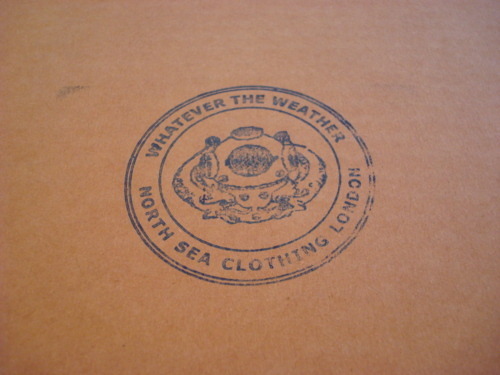 We’re very excited to be stocking North Sea Clothing Submariner Jumpers. We’ve been looking for this particular product for a while now, and after having been tipped off about a company making perfect replicas of this classic style, we are happy to say that they are now in store. 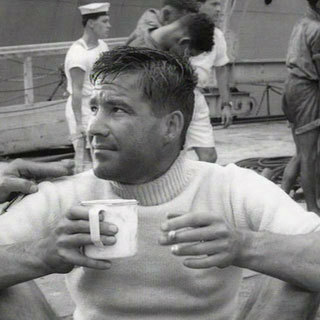 War Office issue in both World Wars, the Royal Navy deck sweater was better known as the Submariner and, as is often the way, this item of clothing gained a new lease of life through ex-servicemen wearing them on civvy street, while at the same time large amounts of unused stock ended up in surplus stores. During the 1950s this style was in particular favour amongst motorcyclists who would wear them underneath their leather jackets, and it is through a dealer of vintage Barbour and Belstaff leathers that this new Submariner came to life. Made in Nottingham from the same heavy 5 gauge knit as the original, this loving recreation has been slightly altered for a modern market ( with longer sleeves and a shorter body ), while retaining all the classic features that made it such an essential piece of kit. 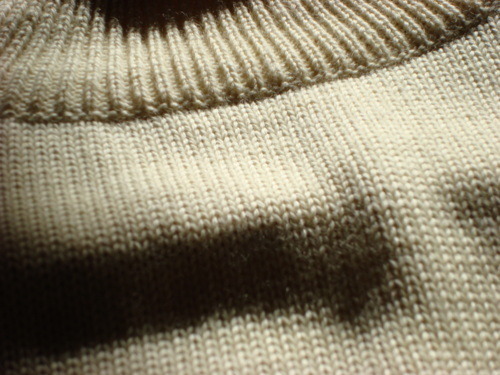 The deep ribbing on the waist and the high roll-neck make it an unusual fit for one not used to the style, while the undyed wool can perhaps seem coarse to those more used to the fine gauges or cashmeres of many modern jumpers. These are, of course, part of the jumper’s essential raison d'etre and to smooth out these design features is to negate the very meaning of the jumper. 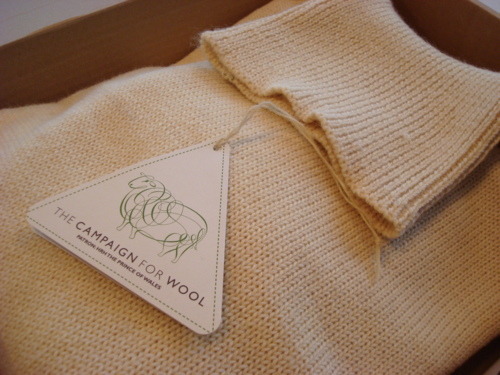 In a similar vein, the slight aroma the jumpers carry is the lanolin in the wool, which helps to keep its new owners dry in the same was as it once did the original. All serve to remind that this is a functional product; yes, it looks great, but it was designed with a purpose in mind.